SS Rajamouli’s Bahubali is being talked about for the scale of the film. The recently released film’s trailer has been loved by people and has increased anticipation for the film. Baahubali is made on a grand scale and from the sets to the props, detailing has gone into each and every thing. 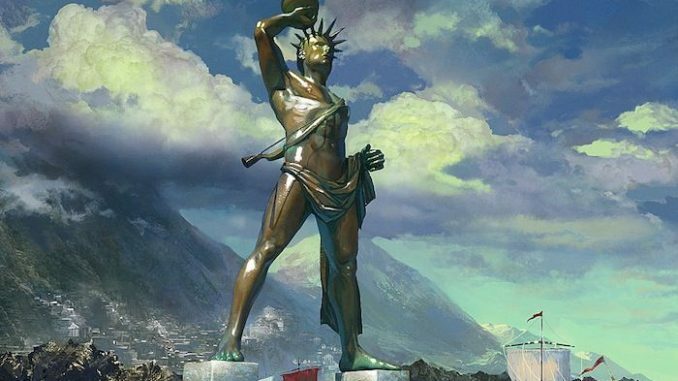 There are huge statues in the film that were inspired by the Colossus of Rhodes. The team was instructed to construct something on the same lines as the Colossus of Rhodes, keeping in mind it’s scale and size. 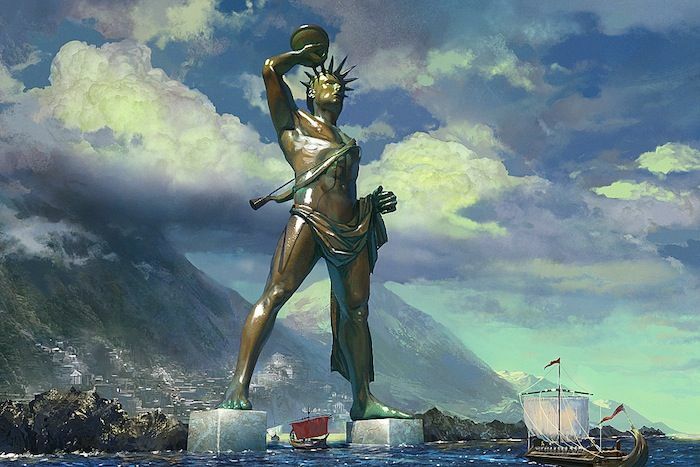 The Colossus of Rhodes was a statue of the Greek-titan God of the sun, constructed to celebrate Rhodes’ victory over the ruler of Cyprus. It is one of the Seven Wonders of the Ancient World and stood tall before it’s destruction in an earthquake. A glimpse of the statue is seen in the trailer, where it is being erected. It is as huge and grand as the Colossus of Rhodes. Baahubali is the first ever Indian film that transcends regional boundaries and has a pan-India appeal. It is a war epic, presented by Karan Johar and slated for release on 10th July.